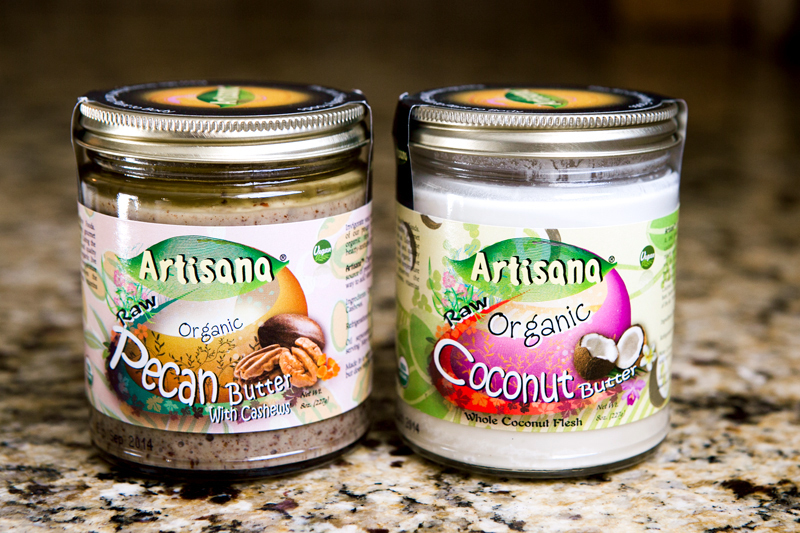 Artisana offers the highest quality certified organic nut butters. 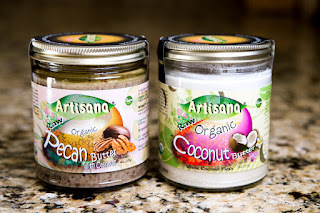 We are absolutely IN LOVE with EACH AND EVERY Artisana nut butter we had the pleasure of reviewing. I can not say enough things about their nut butters- unique flavor combinations, organic, RAW, pure, HEALTHY, and did I mention they all taste AMAZING!! I am in LOVE LOVE LOVE!!! I add them to my morning smoothies, enjoy a few TBSP on a juicy apple, spread some on celery or a cracker. Enjoy on a sandwich with some jelly or spread on toast. Seriously awesome natural nut butters! Pure - they don't add any extra ingredients. No salt, sugar, preservatives or artificial flavors - Nothing. Which means that all you get is the clean, fresh taste of nuts and seeds the way nature intended. And believe me- you will not miss the extra sodium, calories, sugar and faux ingredients - the taste of all their butters is AMAZING! Raw - The ingredients which comprise theirproducts are raw, not roasted, and made into butter with a low temperature process. Organic - They only use 100% certified Organic nuts, seeds, and coconut meat which means no toxic pesticides, chemicals, or genetically modified organisms. (Certified by QAI)! Fiber All in products more readily digestible than whole nuts...making them truly whole foods. PEANUT, GLUTEN, and DAIRY FREE Kosher - All of our products are KSA Kosher certified. Storage - None of our products need to be refrigerated. Artisana - The Art of Healthy Food. Creating uniquely delicious, healthy, gourmet food is a work of passion, blending together nuts and seeds into delicious organic, healthy (& delicious) treats for us all to enjoy! Handmade with care, their organic live foods are crafted using low heat processes that always preserves the life-essential fatty-acids, enzymes, and vitamins. Artisana Raw and Roasted Sattva Nut Butters are certified Organic by QAI to the International Standard of Organics and certified Kosher by KSA. Artisana subscribes to the belief that the energy they have when they make the foods surrounds it and makes it taste better, and the Belles agree- we have both found THE source for all of our nut butter needs. 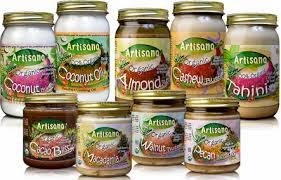 Artisana nut butters are available for purchase from many online retailers- click here to find out how you can order.